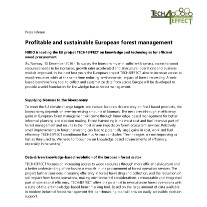 Profitable and sustainable European forest management – this is what TECH4EFFECT is about. Read our first press release to get an overview of what TECH4EFFECT is working on in the next 4 years and aims to achieve. Download full text as pdf or doc.